What if I could tell you about a device I now offer that has three distinct technologies to ensure that your skin is deeply nourished and free of dead cells and bacteria? To add to this good news, this little tool is very easy to use and has no known side effects whatsoever. 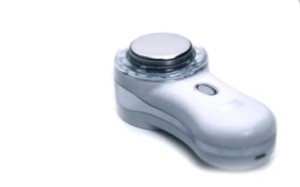 The device, called My Skin Buddy, treats a variety of skin problems ranging from aging to discolorations to inflammation. It’s an innovative handheld electronic cleaning tool that utilizes four unique technologies to rejuvenate your skin, leaving it looking both younger and more radiant. It uses ultrasonic vibrations, ions, photon LED therapy and thermal heat therapy all at once, all clinically proven to have lasting benefits on the skin. My Skin Buddy works with your favorite cleansing lotion to leave your skin with amazingly dewy, glowing results. After applying your cleanser, simply switch on the device through its one-touch button and use its smooth ionic surface to gently rub the substance onto your skin for a period of 2 minutes. The smooth ionic surface will pull all manner of dirt on your skin to the surface for easy elimination. The tool’s ultrasonic vibrations activate to stimulate blood flow to the skin and rejuvenate and nourish skin cells, offering you a gently warm sensation on your skin, emulsifying all manner of dirt and oils so that they emerge ready to be removed from your skin’s surface. While all this is going on, My Skin Buddy’s photon LED therapy works in three cycles to relieve your skin of any harmful effects from sun damage that may have built up over the years. One cycle works on wrinkles and fine lines, another on acne development, and the third soothes sensitive skin, helping to minimize inflammation. What are some of the great things you’ll notice when using My Skin Buddy? (1) It makes your facial cleanser more effective by improving its penetration into the skin. (2) The ion technology deeply cleanses the skin to ensure dirt and dead skin cells are extracted from your skin, leaving it ready for renewed collagen production. (3) In the process of pulling out dirt from your skin, My Skin Buddy kills off harmful bacteria normally found on the facial skin that can easily lead to sporadic acne breakout. (4) This tool reduces the effects of aging and acne on your skin through thermal heat therapy, leaving you with radiant skin, while it soothes sensitive skin reducing redness. For more information on “My Skin Buddy” or to sample it during one of your facials, simply give me a call at (916) 294-9980 or email me at [email protected] New anti-aging tools are so much fun!